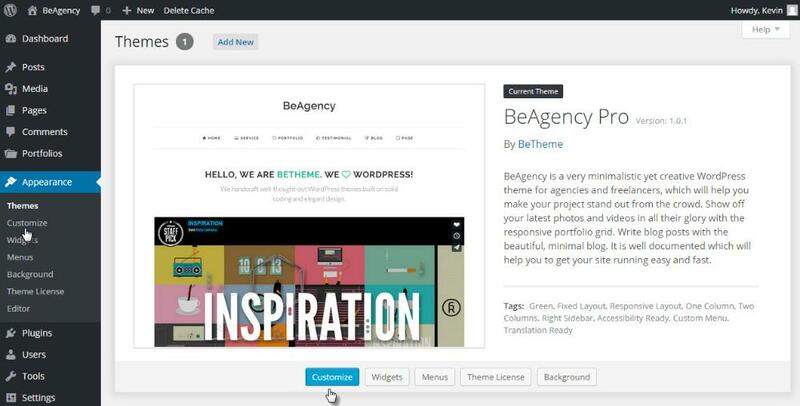 Our themes use the WordPress Theme Customizer interface to allow you to adjust your theme quickly and easily. 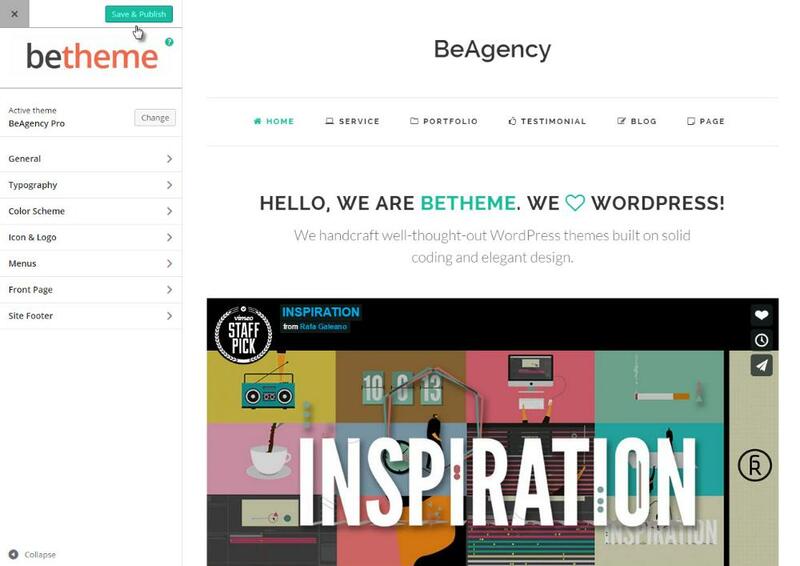 You can easily change your site title, accent color, upload a logo and more, all with a live preview. 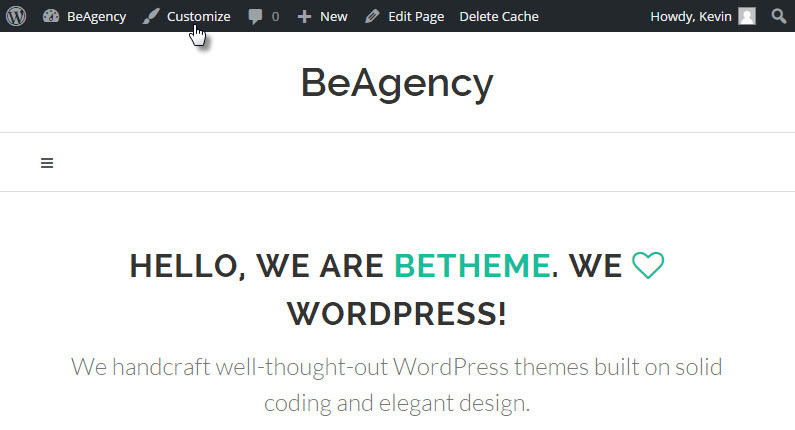 To launch the Theme Customizer, just click the Appearances -> Customize link. Also, you can launch it directly from the Admin Bar. Once you have launched the Customizer, you will see various options to customize. Adjusting the options will change the live preview on the right. Once you have finished your customization, simply click Save & Publish to apply the changes to your live website.